The Toy and Resource Library offers a wide selection of toys for children up to five years of age. Parents, grandparents and caregivers appreciate being able to borrow age-appropriate toys that will help their children develop skills they will use throughout their lives. The children enjoy the novelty of choosing toys that may be different from the ones they have at home. The Library includes activity centres, building blocks, puzzles, prop boxes, games and toys that encourage gross motor activity. 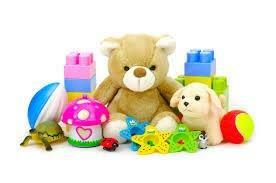 We also have a selection of toys for children with special needs. In addition, we offer a variety of resources (books and DVD’s) on topics such as parenting, discipline, separation and divorce, bullying, self-esteem and child development. A one time Toy and Resource Library registration fee of $10 will be collected from each individual/family. This fee will go directly towards maintaining and expanding our inventory which will allow us to offer a greater selection of toys, books and DVD’s. The fee may be waived for individuals or families with limited resources. Parents looking for some inspiration?